I’m back in Korea. For this, my second tour, I decided to go for the big city and make Seoul my new home. It was a hard decision for me because I had made Busan my home for 4½ years and my friends and memories were there. It was also difficult because prior to coming to Seoul, my previous residence was in Hiroshima, Japan. I was in Japan for a year and it was also a memorable time. Japan was always a place I wanted to visit since I was young and I had finally made it. So why, after all those years, after finally making it to Japan did I end up back in Seoul? It was a showdown, but from a big picture point of view I went with Korea over Japan. Here are my five reasons. Having an F-4 visa was a major deciding factor. About a year ago I received the visa. This visa is for overseas Koreans which means you were born in Korea but took residency in another country, or have a parent/grandparent fitting that criteria. That would be me. My mother is from Korea. The F-4 allows me to get a job in most industries except for unskilled manual labor and speculative endeavors. Probably like real estate or stock speculation. An F-4, for all intents and purposes, allows me to live life as a Korean without the confines of needing sponsorship to be in the country. In terms of being a foreigner or expat, this is the way to go unless you want to get married to a Korean. That will also give you similar rights and freedoms. I can get an apartment on my own, buy a home, start a business, and seek different types of employment not accessible to other foreigners. This is a very nice ticket to have in Korea. But I can’t get it in any other country. Just Korea. Because I’m Korean! Half, at least. And that half gives me much more freedom as an expat than I could receive anywhere else in the world. Japanese immigration is very tricky and sticky and is much like Korea in that you need to have a sponsor to be there long term. You’ll basically be on borrowed time as you’re dependent upon the length of time of the visa. However, with the F-4 visa, I’m on my own clock. This is priceless when living overseas and something that was a major deciding factor. With my F-4 visa, I was able to get my new apartment on my own. I just walked in and flashed my badge. It opens up a world of opportunities should I ever want to explore them. The visa has immeasurably valuable and I’m so glad I have it now. And in the style of Shark Tank – for that reason, I’m IN! Korea and Japan have many cultural similarities. For all the tension between the two countries, they are still very similar in the end. Some of the differences, though, are what made me go with Korea. When I made it to Japan I found that it was pretty much exactly how I imagined. I had vacationed in Tokyo and Osaka prior to living in Hiroshima, so I had experienced Japan in a few different ways. Japan is precise. It’s clean and orderly. People are overtly polite and stay out of your way. No pushy ajummas there! Japan is like a freshly cleaned conference room. Clean board, table, and carpets with all the chairs pushed in. I found that to be very admirable and interesting. But I also found it to be a little…sterile…? That has a negative connotation, I know. But there were a few times when I just wanted to ruffle the feathers a little. Jump on the tightly tucked bedsheets to mess them up. But I don’t think Japan wants anyone to mess it up. Korea, by contrast, is not perfectly primped. The sidewalks are not perfect with no garbage. In fact, there are drunk men peeing on the streets, the fit and finish of construction is rarely without visible oversights, building upkeep is not stellar, and overall infrastructure handling is not without a few bewildered expressions. That’s great though, innit? I missed the roughness around the edges of Korea when I was in Japan. That roughness is character. It is breathing space. It is a more relaxed atmosphere and I prefer that. I also appreciate that under that roughness is a very well-established society. National healthcare, great public transportation, low crime rate, and generally kind-hearted people. Korea is very organized. It’s just a little rough around the edges. I came to realize that I like to have some scuff marks in my life, so for me, Korea is a better choice. I was talking to a friend about potential teaching locations for him and I mentioned Japan. His response? It’s old?! I wasn’t sure what that meant, but now that I’ve live there it makes a little more sense. Japan is awesome. Don’t get me wrong. I would live there again in a heartbeat if the right situation arose. But in terms of this detail, my friend had a point. Japan, although a top contender in the global economy rankings, has not been the same since the 80s or 90s. Their heyday. Their economy has stagnated for many years. Also, knowledge of Japanese culture has been well documented and marketed for a long time. Decades. Some might say overkill. So to my friend’s point, it has an old economy and the culture is old news. That is, in comparison to a country like Korea. It wasn’t too long ago that Korea was a rising “Asian Tiger”. A third-world nation breaking through. There are still third-world elements that can be easily seen throughout Korea. The economy rose so quickly it’s still trying to adjust. In other words, Korea’s time is NOW. Korean culture has not been widespread for decades like Japan. Not everything is built up. It’s getting built up, but there are still neighborhoods that are from the old school. I know them when I see them. They are small, roughly built, and just very old looking. I don’t remember seeing any of that in Japan. I like to see that old element adjacent to the new world. It’s interesting. I never received any negative feedback or attitudes in Japan. Not for being Korean nor for being an American. Remember, I lived in Hiroshima. I just want to make that clear. Overall though, it’s just a little bit more conducive to be in a country where you share the race. 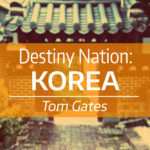 Koreans do adore and hold in high regard all things Korean. Now, that’s not a bad thing. I think, I would hope, that any country would and should be that way towards their own country. I mean, c’mon. ‘Murica! Right? So when making a decision about which country would be a better fit for me, it was a fairly easy decision. Whenever I meet someone here and they find out I’m Korean, the air immediately changes. In fact, many no longer even see me as an American. They see me as Korean. Some have even tried to encourage me to become a citizen. Not something I would consider, but it makes for a smoother ride when doing life in a foreign land. This goes for work, friendships, dating, dealing with government agencies, social groups, hobbies, etc. In Korea, it’s good to be Korean. Or as I say, “Koh-ree-un!” With a nice guttural yelp. I have to be completely honest on this point. When I was in Japan, I truly missed Korean food. Don’t get me wrong, Japanese food is great too. It’s hearty and healthy. But Korean food is just so…WHAM! The spiciness and punch that Korean food gives is hard to match. I fell in love with the many types of gukbaps over the years. Dwaeji gukbap tops the list. Haejang guk is the king of winter stews. Mul naeng myeon is buckwheat noodles in watery broth with ICE CUBES! I know, it sounds odd for the western palette. However, when it comes to the scorching, relentless heat of Korean summers, there is nothing more refreshing and replenishing than an inexpensive bowl of mul naeng myeon. The other thing is all the various types of kimchee. It’s a long list. Maybe you’ve had some in a jar from the Asian market. I know all about that. Growing up in New Hampshire, that was what we had to rely on. There is nothing like the hearty, fresh spice punch of kimchee straight from the urn. It’s just very booya ka sha! Then there are all the other types, like mul kimchee (water kimchee), gak dugi (turnips), cucumber kimchee, and many more. The other great thing about dining out in Korea is the ban chan, aka the side dish surprises. I never know what I’m gonna get, but somehow I’m always happy. They have these beans that are soaked in soy sauce. They remind me of deer pellets (not the ones for a gun!) from my days hunting in New Hampshire. But they are so good one by one. Some restaurants allow you to load up on the ban chan too. I could go on about it, but the bottom line is I missed all of this when I lived in Japan. Don’t get me wrong, I get the sushi thing. I dig the beef bowls. I was really into yakitori and all the different things you can eat there. But it just missed the pop. So I’m going to eat up Korea once again. I’m committed to Korea for two years via my apartment rental agreement. It was partially a subconscious play to help keep me grounded. Maybe after two years it will be the end, maybe the beginning. All these things said, I would more than welcome the right opportunity to return to Japan someday, though under very different circumstances than the first time around. Everyone has different preferences about where they’d want to live. Right now, mine is Seoul, Korea. I’m glad I’m here again. 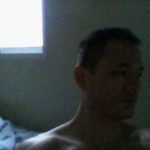 Based on your experiences and others I’ve read, I would rather visit Japan and teach English in South Korea or Vietnam. I also look forward to trying many dishes, even sundae and grilled eel, but not live octopus or raw meat or bugs. There are so many places I want to explore and photograph and look forward to the time I’m able. Good luck to you Thomas, I hope things continue to be less stressful for you. Thanks, Tuwana. I hope you get the chance to do so. I really hope you find your happy back in Korea 🙂 I look forward to reading your posts and watching new videos! It was nice to see your face on my stream list again. Thank you, Emily. I’m also looking forward to making some videos of Seoul life. I think you are a very good blogger/vlogger. I find your blog and youtube channel very interesting and insightful, and I am so annoyed by the fact that lately I’ve been too busy with my work and the video game I’m working on that I can’t follow you regularly! Thank you very much, my friend. The last year and a half was a growing pain. But it was necessary. I really do believe it helped me to realize what I had and that I should stay in that lane for some time. I’m looking forward to creating more content and I’m glad you’ve been around to support it all this time. All the best! I know what you mean. I feel like the first country you visit will always be a part of you. A second home, a safety net, so on so forth. May I make a digression? I am in my just over two years of English teaching life. How in the world do you handle that typical “should I stay or should I go” mentality? Welcome back! Love your blog and posts. Was it easy getting a job in Seoul as an “older” teacher? Heard it was pretty competitive. Did your teaching degree help you? or the experience? Korea is an ok place to live but nothing more, just IMO. Both Japan and China are more interesting places to live with more depth of culture. If the Japanese EFL industry returned to what it was 15 years ago I think you’d see half the teachers in Korea leave almost overnight, tbh. I like Korea but at the end of the day it’s just a little too much on the “meh” side. Thank you, Tom, for this post. 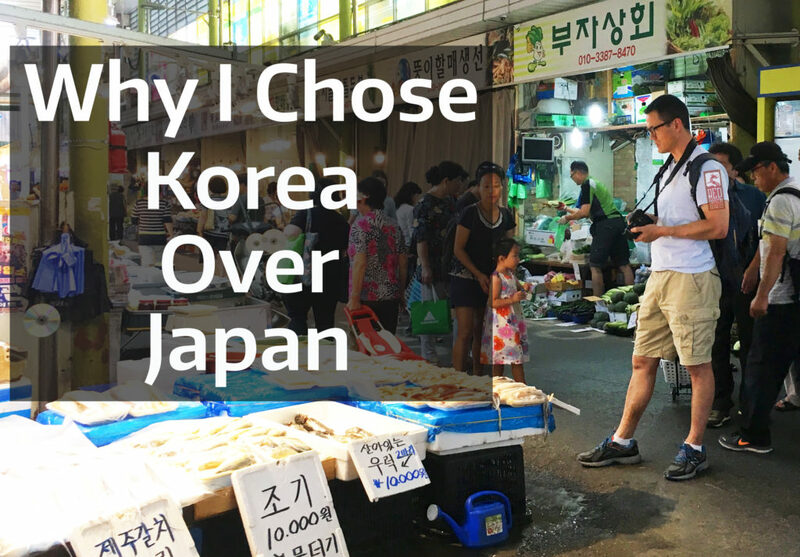 As a mother of a young woman considering teaching English in Korea, I wanted to learn as much about my homeland as I could. Yours is by far the most frequent source of solid knowledge. I’m mildly amused you chose Seoul over Busan on your round two, but that’s just me. I love Busan. I’d be interested hearing more about the subtle and maybe not-so-subtle differences between Busan and Seoul life. Best wishes!